Wondering what to wear in the office every day? Then, you'll be greatly satisfied to see what's given below. Women, regardless of their age, love wearing Indian traditional attires as their favourite work wear. I don't think you need to spend too much to add charisma to your daily wear. 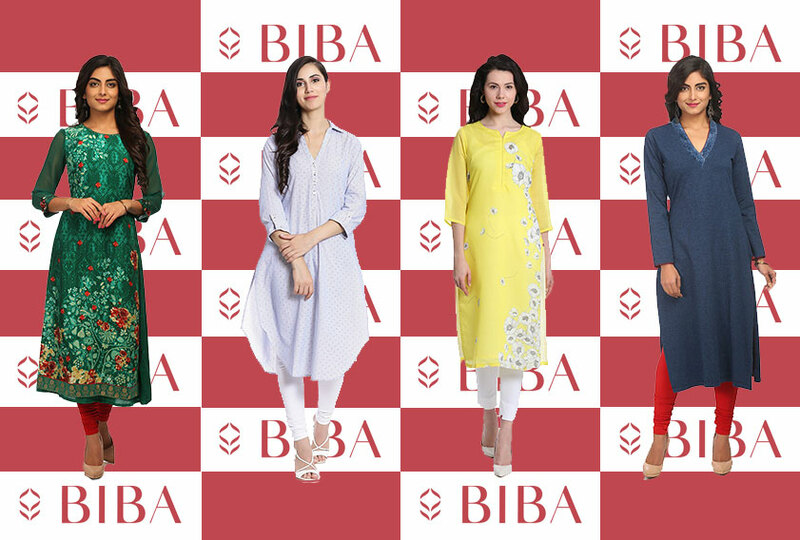 If you are brand-conscious and looking for kurtas for women at the best price, then BIBA is your right pick. BIBA Kurtas make a great style statement with an Indian traditional formula. 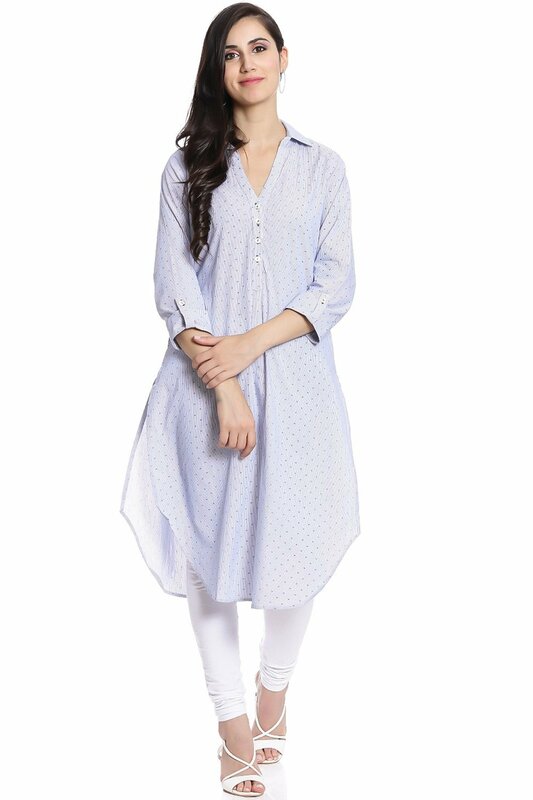 An adorable blue cotton kurta to offer you a stunning appearance. Featuring a V-neck and long sleeves, this straight kurta is an ideal work-wear that gives an elegant and stylish look. Pairing this blue kurta with a red or maroon leggings and danglers will complete your look. This sleeveless asymmetric kurta is recognized for its colour combination and design. The viscose fabric makes this kurta more comfortable and relaxed to wear. Its colour neck floral prints catch every eye around you. Here is a classic piece from BIBA. 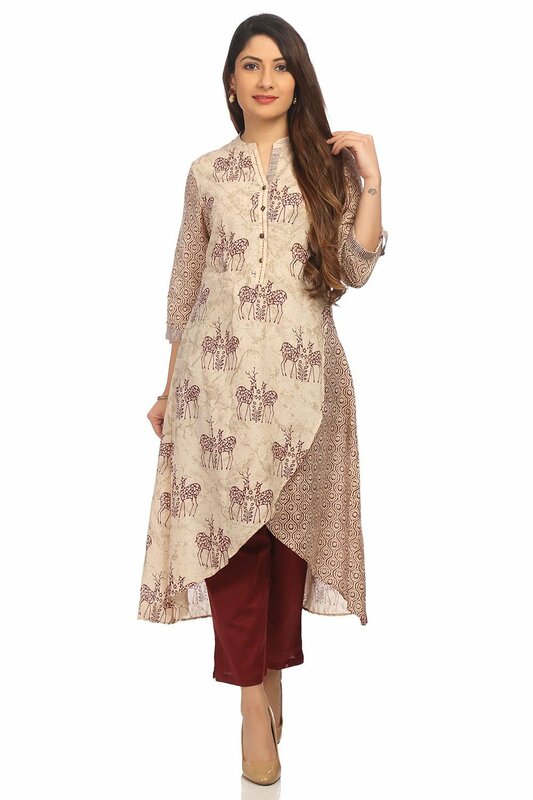 The asymmetric front kurta with its vintage prints all over makes it a stunning piece to wear in your office. Team it up with maroon pants for the best styling results. This elegant piece is picked from BIBA's exotic summer collection. If you want to keep it simple and modest, then this pick is for you. 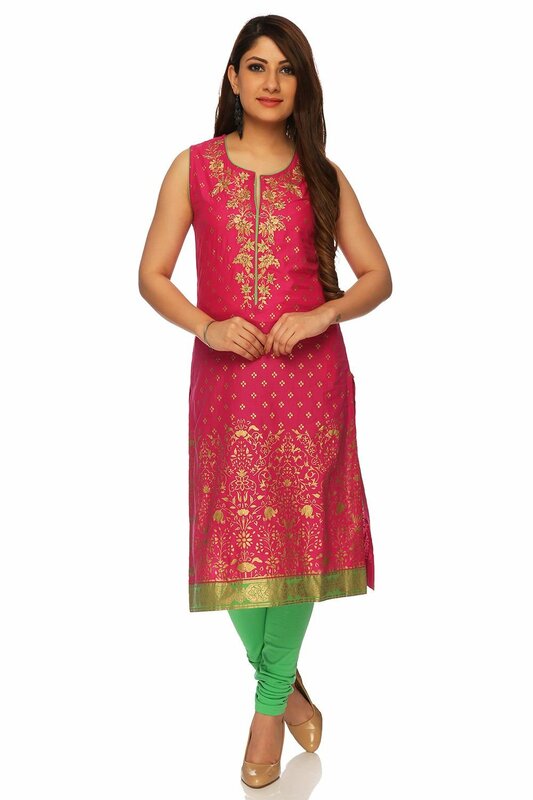 Contrasting leggings or pants can be best-matched with this straight poly metallic cotton kurta. Featuring a green poly metallic hemline and round neck, this sleeveless kurta adds a little charm and grace to an eventful day in the office. Pair it with contrasting green leggings to grab all attention. If sober colours make you feel confident, then this yellow poly cotton kurta is just for you. 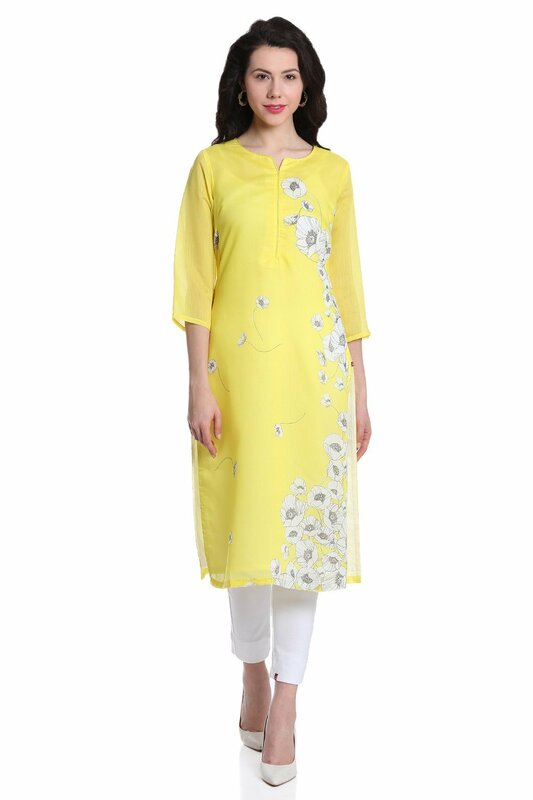 Featuring a beautifully printed flower string on one side, the kurta is a perfect summer-wear. It gives its best look when pairing with white cotton pants or leggings. 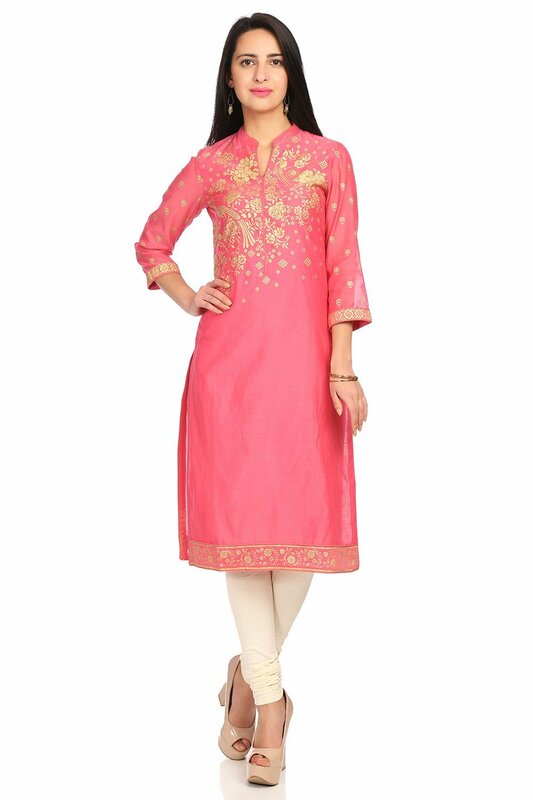 This pink straight kurta makes your wardrobe complete. The foil prints on the finest ploy cotton fabric deliver an adorable style during any casual day. A shimmery dupatta and off-white leggings will give you a perfect ethnic look. 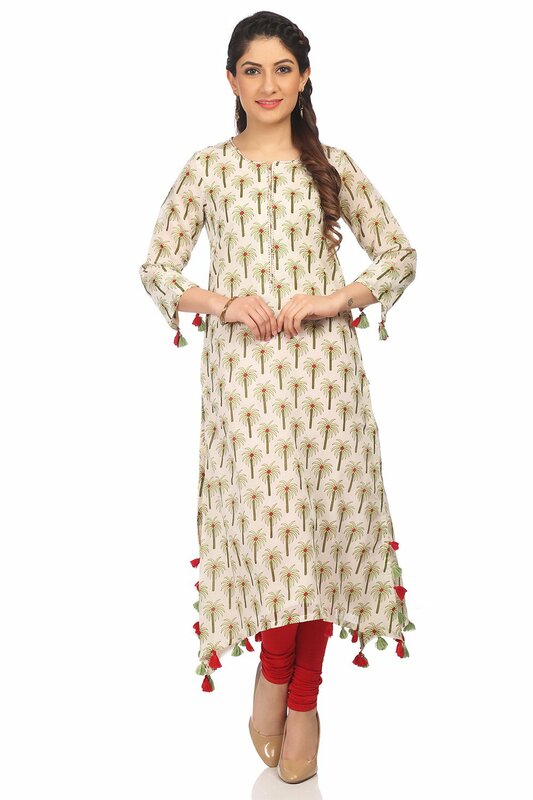 This flared kurta features palm tree print all-over, asymmetric hemline and three-fourth sleeves. The hemline and sleeves are further adorned with tassel details. The cotton lining and silk body fabric make it ideal work wear for summer. 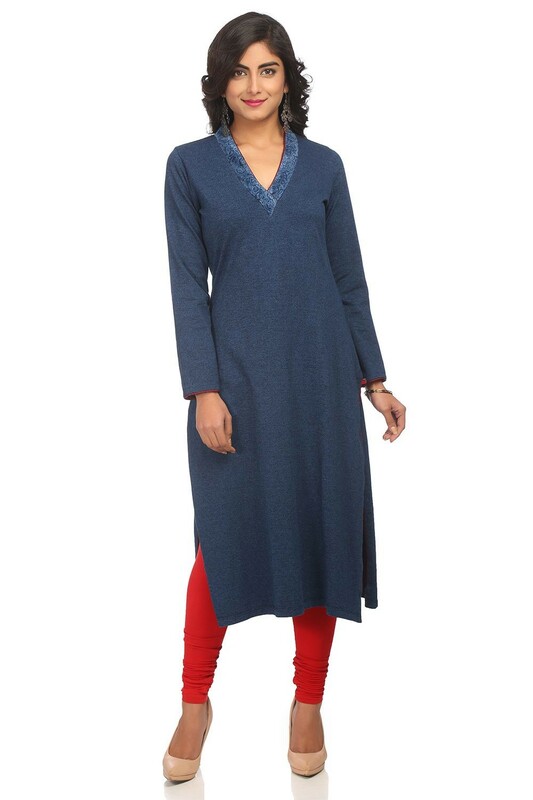 Ideal for all seasons, this blue kurta features an asymmetric hem and a shirt collar neckline. 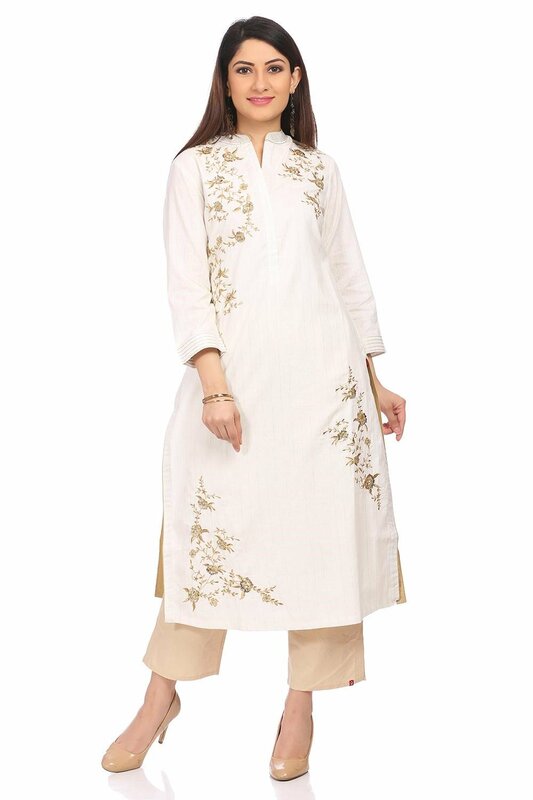 The kurta looks its best when paired with white leggings or pants. 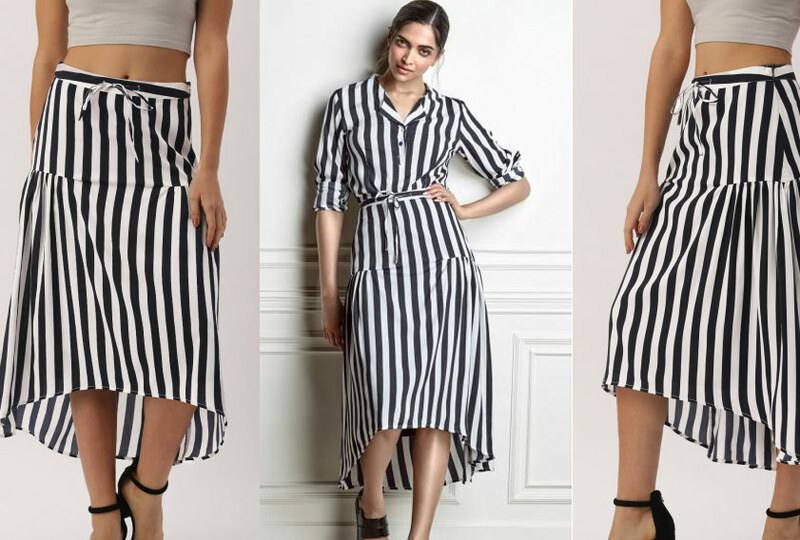 Altogether, the kurta lends a chic and comfortable office style. 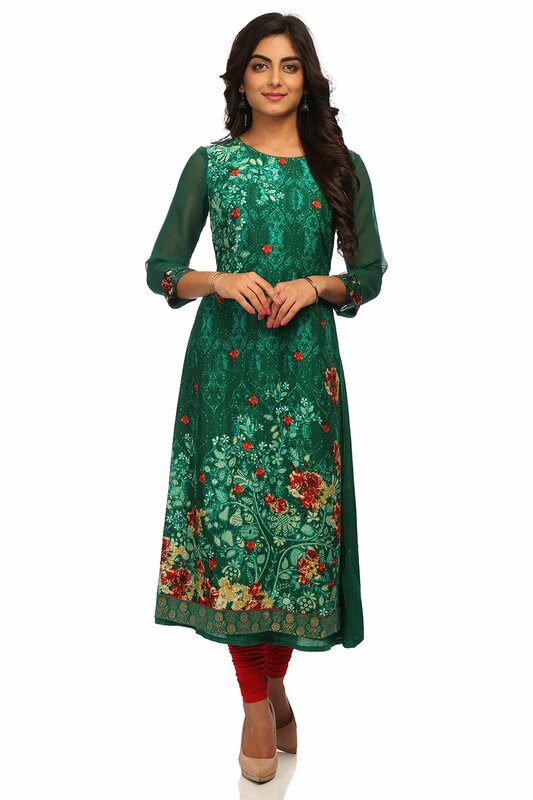 Let your colleagues envy on this green viscose flared kurta, which is ideal for any occasion. 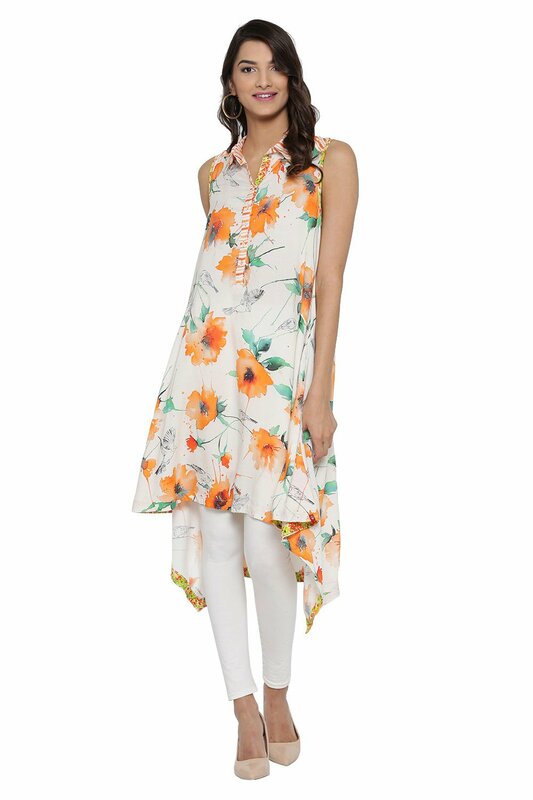 With an absolute bloom effect, the floral print kurta is a complete stunner. Red leggings, danglers and a red bindi give you a lovely appearance.